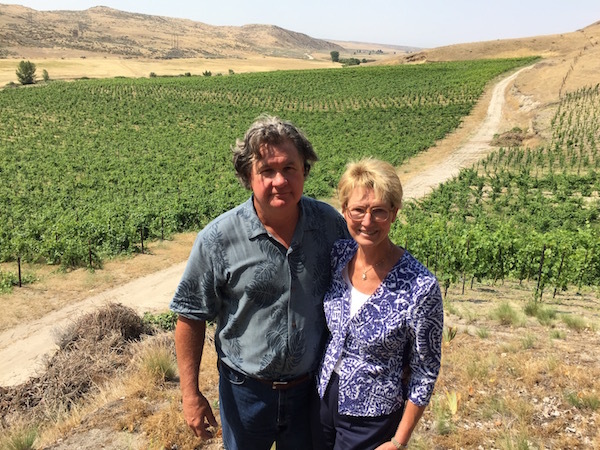 EAGLE, Idaho — Gary and Martha Cunninghams have little trouble selling 3 Horse Ranch Vineyards wine beyond the borders of Idaho’s Snake River Valley, but they want consumers to know more about their vines, their ranch and their tasting room 30 miles northwest of Boise. So emboldened by opinions of two Pacific Northwest scientists, Martha harvested data and historical documents to make her case for the Eagle Foothills American Viticultural Area. 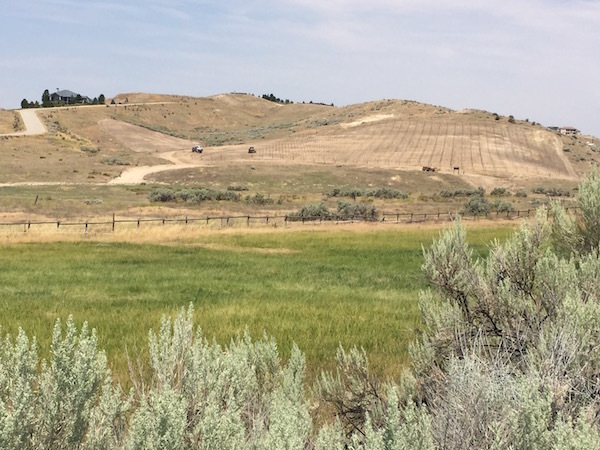 Her petition sailed through the commenting period in June, so it could be just a matter of weeks until the Alcohol and Tobacco Tax and Trade Bureau establishes it as the Snake River Valley’s first sub-AVA. “It’s important to have someone validate why we are doing what we are doing,” Martha said. The key player in those efforts for recognition was Greg Jones, a professor at Southern Oregon University in Ashland and one of the world’s leading figures in climate research for viticulture. 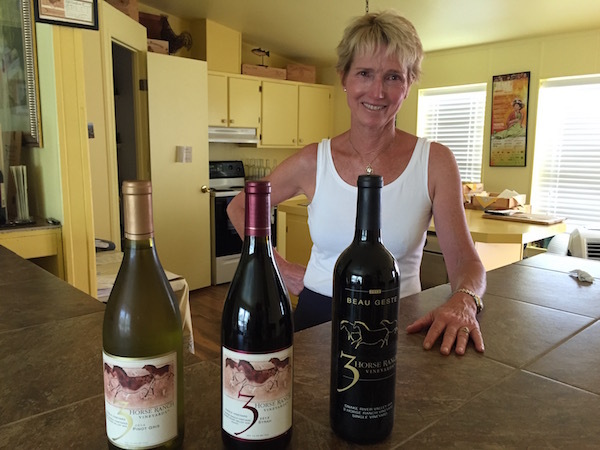 Some have wondered about the viability of growing wine grapes in this arid region, but Martha’s husband, Gary, and winemaker Greg Koenig have produced award-winning results from estate fruit under the 3 Horse Ranch Vineyards brand. Two decades ago, the Cunninghams bought 1,600 acres along Willow Creek Road and in 2002 began establishing their 46 acres of vines, which reach an elevation of 2,912 feet. Gary and Martha boarded horses — alongside their own three — to help pay for those vineyard plantings. That was five years before the establishment of the Snake River Valley AVA, a watershed moment for Idaho’s wine industry. 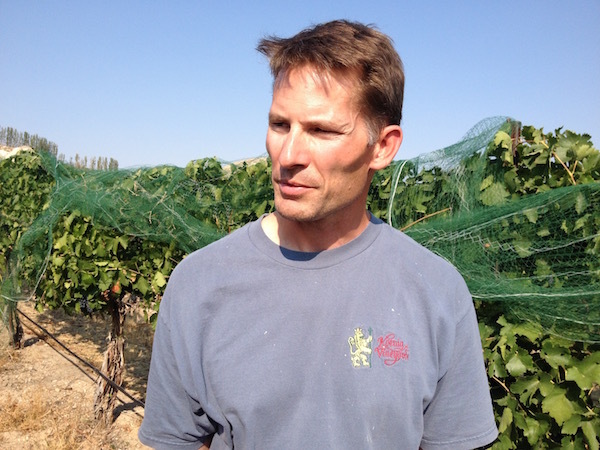 Koenig, one of the Pacific Northwest’s top winemakers, oversees the Cunninghams’ winemaking program. Koenig has other clients, including his own Koenig Vineyards label. 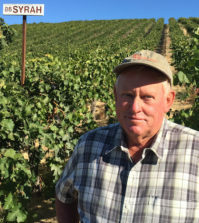 He’s marveled at the unique qualities of some 3 Horse Ranch Vineyards grapes, particularly Cabernet Sauvignon, which naturally arrive at his Caldwell vinification facility at reduced yields. “The grapes come in with lower sugars but physiologically ripe, which is cool,” Koenig said. “I made a great Cab for them one year that was 13.1 percent alcohol, while all of the rest of us (in the region) are pushing 14.5 and 15 percent sometimes to get that green flavor out. In a good year, 3 Horse Ranch Vineyards grows a significant percentage of its own grapes, including Merlot, Cabernet Franc, Malbec, Petit Verdot, Syrah, Grenache, Mourvèdre, Pinot Gris, Chardonnay, Viognier, Roussanne and Sauvignon Blanc. Unfortunately, Mother Nature brutalized the Cunninghams’ estate grape production for the 2013 and 2015 vintages as extended blasts of Arctic air wreaked havoc in their vineyard. “Last November, we all got whacked by the precipitous decline in temperatures,” Koenig said. Damage throughout the Snake River Valley — and portions of Washington’s Columbia Valley, too — prompted the Cunninghams to branch out beyond Idaho to meet the demands of their customers. That helps explain why bottles of 3 Horse Ranch Vineyards wines list AVAs such as Washington and Oregon. 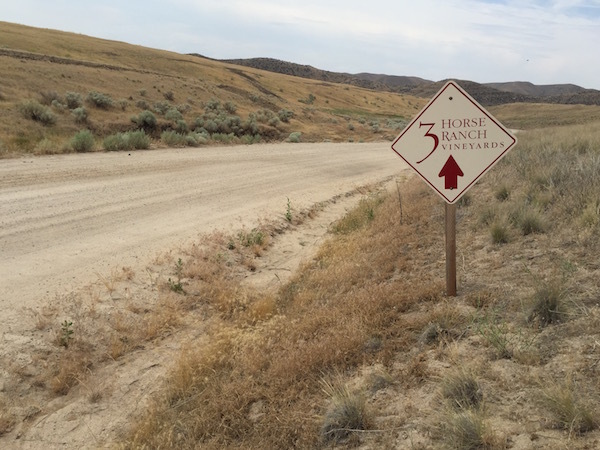 Despite the many challenges, they’ve built 3 Horse Ranch into the largest family-owned winery in Idaho, ranking third overall in production, trailing only Ste. Chapelle and Sawtooth Estate Winery. (Both brands are owned by Precept Wine in Seattle). 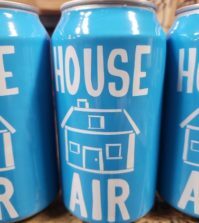 Annual production for 3 Horse Ranch stands at about 12,000 cases, but Gary said he could sell twice that if Idaho vineyards could supply him the fruit. 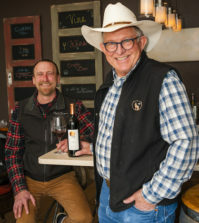 Nearly 80 percent of 3 Horse Ranch wines are sold outside of his adopted state — a startling figure for a winery its size — so the Cunninghams serve as key ambassadors for the award-winning Idaho wine industry. And thanks to their association with Koenig, the Cunninghams’ wines continue to shine in blind judgings. 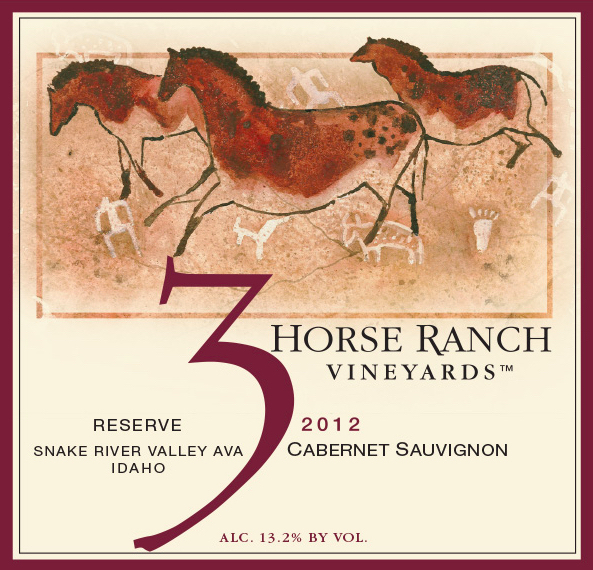 Wine Press Northwest magazine, a publication based in Washington state, named 3 Horse Ranch Vineyards its 2011 Idaho Winery to Watch. Earlier this year, its 2012 Reserve Merlot won best of class at the Seattle Wine and Food Experience Wine Awards and the 2014 Estate Pinot Gris merited a gold medal at the Great Northwest Wine Competition, the nation’s largest judging of Pacific Northwest wine. 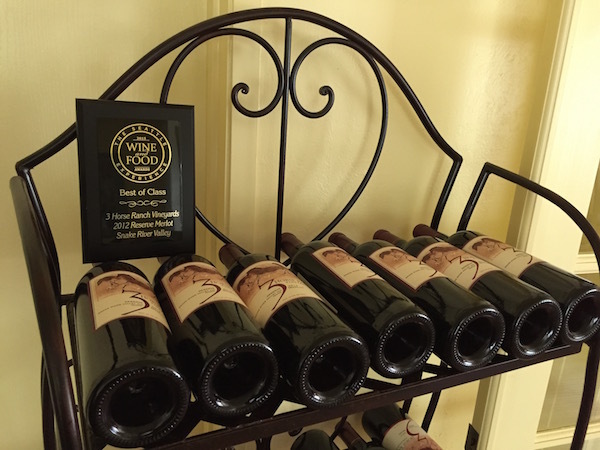 The most recent acclaim for the Cunninghams’ program came Oct. 8, when the 3 Horse Ranch Vineyards 2012 Syrah-Mourvèdre earned a double gold and best of class at the 2015 Great Northwest Invitational. Cunningham is particularly proud of the estate Mourvèdre in the program. The Cunninghams made an early splash with an organic approach the 3 Horse Ranch Vineyards estate grapes and lineup of wine, but they abandoned their certification several years ago. Gary Cunningham, a consummate salesman, left Sacramento, Calif., and moved to McCall, one of Idaho’s famous resort communities, after a marketing career in the world of corporate business travel. He’s sacrificed his single-digit handicap in golf to dote on vines and grow the market for 3 Horse Ranch wines, while Martha heads up the tasting room. The self-described housewife with a P.E. degree from University of California-Davis swims in national competitions, and she also is an avid reader. 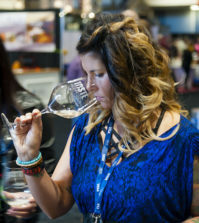 A suitability analysis written in 2011 by Jones for the Idaho Wine Commission sparked her pursuit for an AVA. Weather data helps draw the distinction between the Eagle Foothills and Caldwell on the Sunnyslope Wine District, 35 miles to the southwest. The average annual precipitation in Caldwell is 11.4 inches vs. 14.3 inches at 3 Horse Ranch Vineyards. There are an average of 2,418 growing degree days at the Cunninghams, while Caldwell is considerably warmer at 2,939 GDD. The average date of the last spring frost is April 24 in Caldwell with the first fall frost striking Oct. 7. In Eagle, the Cunninghams see a tighter growing window. Historically, they don’t stop worrying until after May 12, then begin again Oct. 3. In early 2013, Jones successfully petitioned the TTB to establish the Elkton Oregon AVA, and his experience was invaluable for the Eagle Foothills document. The rolling hills, sagebrush and dusty roads surrounding 3 Horse Ranch Vineyards are reminiscent of 30 years ago on Red Mountain in Washington’s Yakima Valley. In hindsight, the TTB likely did a favor for the Cunninghams, future growers and vintners. Clyde “C.J.” Northrup, a geosciences professor at Boise State University, shared his soil expertise for the petition. Northrup, with a doctorate from the Massachusetts Institute of Technology, also has winemaking in his background, including work last fall at Hat Ranch Winery. He views the soils as distinctive because of the granite pebbles mixed in with the volcanic ash/sandy loam, a sign of the Eagle Foothills’ position along the Boise Front and near the northern margin of Ancient Lake Idaho. “Rather than multiple flooding events that stacked things up, there was a long-standing lake here that occupied the Snake River Valley — about the same size as Lake Michigan today,” Northrup said. “A lot of the rocks that we see here are lacustrine sediments that accumulated in that lake. Northrup said he appreciated the collaborative effort and consensus building Martha took along the way. Just a few months after the Elkton Oregon AVA was established, Jones had his name on another petition in front of the TTB. Aside from Koenig and his assistant winemaker Martin Fujishin, only one other commercial winemaker has spent much time working with grapes — Sangiovese — from the proposed Eagle Foothills AVA. (Cunningham manages those plantings for the vineyard owner). Lloyd Mahaffey, a former Apple executive, established 5 acres of vineyard and created Vigne d’Aquila in 2004 as part of a housing development he’s spearheaded outside of Eagle. There’s also John Witte’s Curlew Vineyard, a 3-acre parcel. In reality, though, the Cunninghams are the lone pioneers on a frontier in their own section of Idaho. It’s been a rapid climb since their first commercial vintage in 2006 and a production of 1,000 cases. “We are the only commercial operation out here since Woodriver (Cellars) went out of business,” Gary said. “They weren’t growing grapes here, but they would have been part of the AVA. It would be such a huge help to us to have two or three other wineries here. We wanted those people to be successful. Those dusty roads to reach 3 Horse Ranch Vineyards soon could get shorter. An Arizona developer reportedly is poised to launch the 6,000-acre M3 Eagle/Spring Valley Ranch community that would build homes, schools, business and agriculture. The economic recovery, not irrigation, has stalled the project. According to the AVA petition, the Spring Valley Ranch master plan includes 400 acres of vineyards. It’s unlikely they will be farmed as passionately as 3 Horse Ranch Vineyards, where only two of their original horses graze the nearby pastures.